Imprint size is 1 color only 0.38″ H x 2.50″ W.
At under $20 printed with your logo, the Traveler Bluetooth® Keyboard might be the way to go for tech companies looking for their next promotional give away, or for any company with a mobile workforce. 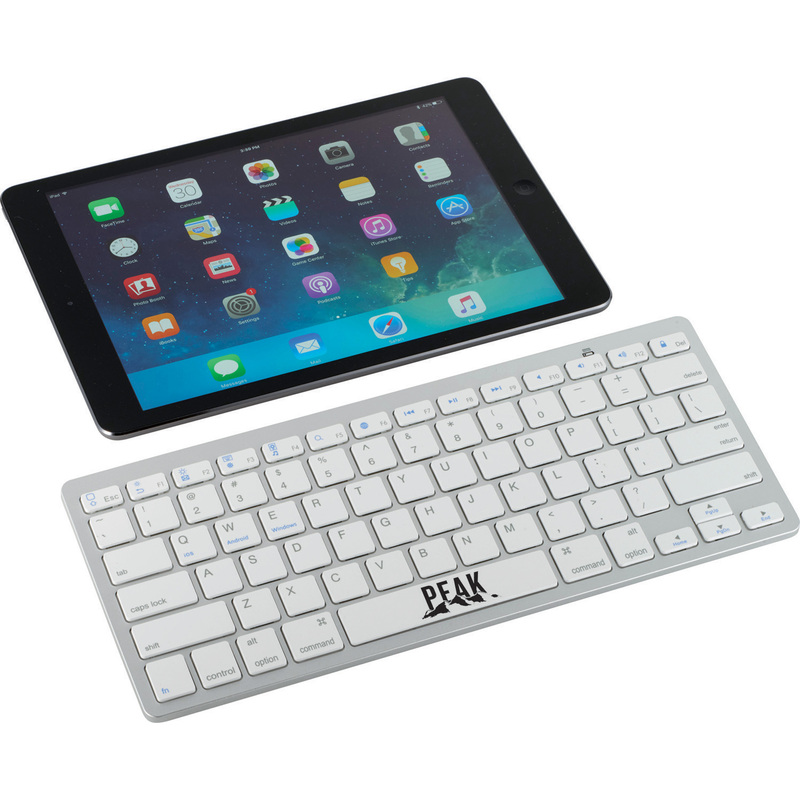 The small, lightweight sturdy Bluetooth® keyboard is perfect to use with tablets, mobile phones, TVs, and other Bluetooth devices that compatible with iOS, Android, Mac system or Windows with Bluetooth® function. The operating distance is the standard Bluetooth® 10 meters. Take a look at their short promotional video. Please contact us at info@proformagreen.com if you would like more information on – or samples of – the Traveler Bluetooth® Keyboard.